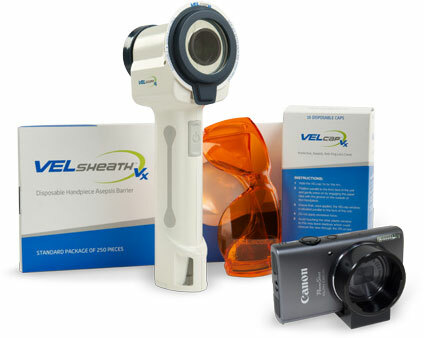 The VELscope® Vx system is easy to use, portable and provides bright clear mucosal visualization. The system is used to conduct more oral tissue examinations than any other adjunctive device. The average practice added four new patients the first year because of their VELscope® Vx assessment (and up to as many as 20). Nearly every dentist indicated a high level of satisfaction with the VELscope® Vx system’s impact on their patient care as well as their practice’s profitability. 95% of VELscope® Vx users surveyed stated they would refer the system to a colleague. Under routine conditions, with exam fees ranging from $25 to $35, a payback within 3 months can be expected as well as $11,000+ in annual revenues to the practice per system.